"Powerful, fast and feature complete." Serpstat is one of those tools that you soon realise you can't do without after you use it. It has a very large range of features that are really well implemented when compared to its competitors (Semrush etc). Even if you don't do SEO for a living, the value of the data on your sites performance and also your competition is fairly mind blowing. If you're spending $$$ on online marketing and advertising, then you need to optimise your content and site... and Serpstat will help you do that in spades. The keyword research tool is really super easy and invaluable. Ditto your sites analysis tool - great to give you insight quickly to what's working and what's not. If you've not used a SEO tool before, the UI might be intimidating at first blush. Don't be put off. Watch their walk-thru's and you'll soon have your head around it. Once you get the logic it's very straight forward. The interface is overwhelming even though logically ordered. It doesn't go out of its way to step you through a process. Plan limits on data/searches per day. More databases in smaller countries - although they're adding them all the time so it pays to ask often. If you want a great service and lower cost, backed by great support, Serpstat is winning this round. Completely changed how we looked at our content, spend and focus online. Gave us real insight into what we needed to fix and what was working well with our material. It also gave us confidence on what we were doing - we can back it up with data. "An all in one Complete tool for SEO and PPC professionals"
Serpstat is a perfect tool for people who are just entering into SEO industry and are not having big budgets to afford expensive tools like Semrush and Ahrefs. It is super blazing fast and offers so much for Internet Marketers by providing SEO analysis, Domain analysis, PPC research, Website Audit, Rank Tracking all at one place. To do an in depth competitor keyword research. We need a trusted tool which can help us create a strategy for our website. Serpstat does this job very well by doing based on entered keyword. And will show for how many keywords that website is ranking in Google. Secondly, We can know which keywords are ranking at what position in Google US, Google UK, Google Canada, Google Indian and so on which life makes so much easy for SEO professionals. Third, Finding organic competitors for a website is so much easy in Serpstat. Fourth, Domain vs Domain comparison. Enter 2 domains and check what is common between these 2 websites. Fifth, Finding Top pages which is a amazing features can let us know, what posts or articles are ranking for how many organic keywords. A long list of social media popularity can also be seen here. Enter a domain and find out PPC related date and results which can be used to understand what is working with what keyword in PPC industry. PPC Competitors list and Domain comparison and Ad Examples. This is a complete keyword research tool which can make life easier for SEO professionals by providing a huge list of keywords which can be used to write articles on those keywords. Finding backlinks is so much easy by tracking backlink history, lost backlinks, Referring domains, Referring pages, Top pages and competitors. Tracking daily ranks in different Google search engine from different countries is so much easy with this tool. Checking health of website and performing audit on that can help in finding out website related issues, broken links, missing alt tags, internal links, external links and much more. This is based on SDO score which can help finding out issues based on priorities. High priority which needs to be fixed soon and middle priority and low priority and compare that with previous site audit to see how much you are performing well for raking higher in search engines. Serpstat has a plugin which can help a lot in working fast for determining website stats you are visiting. Awesome live chat support system. Serpstat is also offering access to lots of webinars, blog posts, guides and Serpstat Academy which is like having all professional learning material at one place. Sometimes it is slow due to load on server. I wish they would have something for Search engines like Bing, Yahoo and Youtube. With SEO industry depending a lot on tools to spy and rank tracking, auditing and much more. The most popular choice for people are Semrush and Ahrefs. But it can create a big hole in your pocket before you start having results as their basic plans are around 99 $ each. Serpstat is perfect tool to those tools and many of the features it provides are like of Semrush and with a starter plan starting for as low as 19 dollars. Serpstat is doing a great job Internet marketers. Working as a blogger is really tough and knowing what competitors are doing and then creating better content and doing better research with them is part of SEO game. Serpstat does this pretty well and working with Serpstat solves a lot of problems by realising what competitors are doing. I love Rank Tracking and Website Auditing a lot which are very much accurate. "Really excellent all-in-one SEO platform with innovative features"
- Analysing competitors: When you dig deeper on competitors URL , you are provided with a deep view of what are the most visited urls on your competitor’s website. This way, you can find out the web pages that attract maximum traffic - and replicate the same strategies. - Serpstat Academy: Serpstat has three courses: keywords course, features course and long-tail keywords course. Serpstat has a zilllion of features, and if one has paid to use them, it is good idea that one knows how to get the best out of this investment. - GDPR copmliance : because i work in EU i am obligated to GDPR directive. THey was a that time only one with updated terms and conditions, with audited their party vendors and they are stating that all data processing techniques are GDPR compliant. Take Serpstat Academy that comes with youre subscription ! AL least take "Serpstat features course", because this tool has so many options that you will NEVER discove all without proper manual or guide like this course,iad of features,. "That extra kick to refine your content strategy"
Its overwhelming feature set makes impossible not to meet your needs. Best of all, Serpstat provides suggestions about related keywords to your own so you don't miss a thing. You can focus on your strategy instead of researching for keywords, automate, follow your competitors and be more productive. Plans structure with time-based query limits can make research very either expensive or exhausting for niche players. In my opinion, its primary target are companies that want to automate regular tracking, but sometimes what you need is to perform tons of queries in a very little time. With current Serpstat plans this can take very long time in case you don't want (or can't afford) to upgrade to a bigger plan. Serpstat is very useful for small business in order to find content niches to specialize so they can fight appropiate battles. It could also help you refine your current content so you don't hit yourself against the big-buddies wall. "The Best Investment On My Digital Journey!! " 1. The developer always goes the extra miles to update and improve the product regularly, making the product a better version of itself from time to time. 2. All in one SEO tools: domain and URL analysis, rank tracking, keyword research and suggestion, position in search rank, site audit, backlink analysis, and many more. 3. I LOVE! the organic keywords section, it provides invaluable information about keywords that already ranked on the google and its volume, without me even noticing of planning those keywords to rank in the first place. (The usual rank tracking workflow is to have some keywords in mind and then monitor those keywords for your site position, SerpStat also does this, however, it also give information about what keywords already ranked without you plan for it from the beginning). 4. The Competitor analysis is really good, they have this domain vs domain module, and URL vs URL module, you can compare your domain vs your competitor's domain, and you can see what keywords currently ranked in Google for both domains and see for yourself whether the competitors are better or worse than you. (Very Very Convenient). 5. They developed their own matrix: Serpstat Page Rank, Serpstat Trust Rank, and their own Keyword Difficulty matrix. (Most Seo Tools out there only using the API of others more prominent tools and use somebody else's matrix: like Moz Page Rank, Majestic Trust Flow, and Citation Flow, Ahrefs Domain Rating, etc). An SEO Company who develops its own matrix is not a small company. I Imagine in the future Serpstat's metrics will also be counted as a dominant figure in the SEO world. 6. Speaking of frequent improvement, they recently launched their Serpstat extension for google chrome, this is really a game changer, I can quick the important stuff on any website easily and accurately. 8. I have joined them from the very beginning and grandfathered this amazing product. (The product has reached beyond expectation realm). I get a really discounted price while enjoying all these amazing benefits. 9. Even if you just started out now on using Serpstat, you will save so much money compared to using others more premium tools, while the quality is approximately the same. I am still searching for what I dislike about Serpstat, but have no luck in finding one. If I pressure my mind to find one, maybe the queries limit per day. Really great product!! The developers and the whole team always go the extra miles to improve it. There is no question this product will be better and better in the future. What business problem am I solving with Serpstat?? 5. Finding out who are the competitors, spying on them, grabbing their successful keywords and make them my own (sounds like a villain but this is the core of espionage right? spying others to get important intel and use that intel to benefit yourself). 6. Finding out what is the plus and minus of the competitor's contents compared to mine. 7. Monitor the link building to my sites and analyze them. If I summarize the benefits into a sentence, a really great efficient tool that helps me gain better rank in search engine. Serpstat is probably one of the best SEO tools on the market. It can easily be compared with the big boys like Semrush, Moz or Ahrefs. But unlike the competition, it's really affordable :) The UX is great and Serpstat provides an online learning platform with in depth articles in order to get most of the tool. There is a small learning curve and you will have to take some time to get a grasp on all Serpstat capacities. But the effort IS rewarding. Plus, you'll get a Serpstat certification. Serpstat is the way to go if you're realizing that free SEO solution are not providing enough value and paid SEO solution are too expensive. You have all the great tracking and discovery tools at a fraction of the regular price for this kind of services. Serpstat helps us keep an eye on our client's competitors (and our own of course) revealing their ranking, and their keywords and backlinks strategies. We also make great use of Serpstat website audit tool, which makes global and on page SEO corrections quick and easy. Overall, the localized Serpstat data freshness makes it an unvaluable tool when it comes to make good web marketing decisions. Our company uses Serpstat for doing regular performance analysis. In the world of complicated seo-tools, serpstat seems to be the easiest to use. Serpstat has a simple and well-structured interface, so there's no need to dive deep in SEO - you have everything at a glance once you've set things up. SEO used to be a blind spot among our marketing efforts and activities yet it was obvious that organic traffic converts better than other channels, so the issue we've faced was finding a way to grow this channel. In order to achieve that goal, we were looking for a tool that will provide some insights and help us predict the results and see what works. Serpstat helped us to grow the number of organic leads which is exactly what we were looking for. As a consequence, we closed more deals and raised our sales. "Digital and Marketing Analyst reviews Serpstat"
It is a very broad-reaching tool. Just about anything I want to research I can with this tool. Today so many tools are good at one small niche and you need many of them. The beauty of this tool is the broad spectrum of knowledge you can glean from it. It is not really a huge dislike but you can obviously dig deeper using various other tools. So if you have the access to multiple tools then you might be able to find more information about backlinks or a site audit. If you are a solo operator who doesn't want to shell out 600 or so for multiple tools this does what you need. Perfect for solo or small agencies that want a good tool at a fair price. The learning curve is a little smaller as well. I onboard with Serpstat and find it very efficient to give me the information I need to set up a campaign. I can figure out the first six months of tasks and also report them thru Serpstat with the advanced functionality of reports and downloads. I really find it helps focus my efforts when I stay in one ecosystem rather than multiple tools. "The tool that makes SEO and SEM well done"
For me, SERPSTAT has many good things. The first is that it's really easy to use and I can get great things using this. It includes many important tools and almost everything I need for a good SEO and SEM optimization job. It offers a lot of metrics, and also a lot of information. It also allows a comparative work with my competition. Something impressive is being able to use a single application to receive so much information. There are other similar ones (much more expensive) but this one does everything reasonably well. Not everything is perfect, but the tool gets better every day. Perhaps the biggest problem is that databases are small (few keywords), that makes a study of keywords well done and effective cost more, also the discovery of links is not very effective. However, as I said, the tool evolves well and I know that in a short time these problems will be solved. We use this to optimize our online advertising campaigns and also to improve our search engine positioning. Before we used several applications for several things, but now with only one we can solve almost all our concrete needs. "Great alternative to SEMrush at a more realistic price point"
I've used a lot of keyword research and analysis tools in the years I've been working in digital marketing, and a lot of them - like SEMrush - have become really lossy and tried to diversify into different things, losing focus on what people primarily use the tool for. Serpstat is a great tool for research, doing some performance tracking, and monitoring multiple data points. The UI is also nice, and the fact it allows multi-user on the 3rd tier plan is a game changer, rather than trying to extort unrealistic amounts of cash for multiple users and not understanding how their audience users actually use the tool and operate businesses. Because the tool processes a lot of data, it can sometimes feel a little sluggish - but it's a small price to pay for the data quality you get. Definitely signup for a free trial and give it a go. Serpstat is a great addition to the suite of tools that we use and is a very capable, cheaper, and less lossy alternative to SEMrush. As a small business user its a great easy to tool use. It's helped to track our SEO efforts and conduct audits across our website. Its a quality tool with value for money. The best features are the keyword ranking, competitor audits and visibility for an overall snapshot of how you are going. Its also good to use on competitors to see how much traffic other companies are getting too. I like everything! Its great value for money. I found the free plan frustrating originally due to not being able to track more key words but what do you expect for a free plan! The plan I'm on doesn't have access to the mobile ranking which is frustrating too but overall its a great program. I purchased a lifetime plan through app sumo so its something to look out for! We doubled our traffic across two of our sites over 12 months without any SEO experience purely by using Serpstat to keep track of what was working and what wasn't. The audit tool is fabulous, along with keyword tracking and competitor analysis. "Excellent application to improve SEO and optimize SEM"
A complete Dashboard, easy to use and with all the necessary options. It includes a good keyword analysis and other essential tools for anyone who wants to position their website or brand. The amount of databases in many countries is a strong point that I value very much. The site analyzer is great! "Awesome SEO tool with great features"
Finding out the keywords my competitors are ranking and potential keywords to be ranked for my website. Rank tracker for my website so I know what are the top keywords I am ranking for. Perform site audit with this tool is awesome. Able to find out the major backlinks my competitors are using to boost their website and I can use the similar backlinks to boot my site too. Able to see the rank history to knows what is working and what is not working on the SEO strategy performed. Cannot find all the backlinks but major one is able to. Overall the speed feel slow when using the tool. One of the best tool around in the market. I see this tool is growing day by day. The developer of this tool is putting a lot of effort to make it better by adding more features and changing what isn't working well to something better. Get more keywords that competitors are using and helping to generate traffic. Find out the visibility of my website compare with competitors website. Perform website auditing and discover problems that could hurt ranking. Discover good backlinks that can be used to boost my website. "It does everything well at a good price"
What I like most about this tool, besides its good price, is undoubtedly the ability to correctly address all the necessary issues related to SEO, with a friendly and fast interface. Excellent relationship between quality and price, as well as an opportunity for small fish to have real opportunities in the serps. Significant savings month after month as I get lost from much more expensive tools that do the same. The multiple types of export options available, which directly include a Google Drive and PDF, plus updates and community blog training are an excellent source of learning. Thanks to the SERSTAT team for offering us at a very good price this efficient all-in-one tool for SEOs. What I like the least about the tool is that the interface is not in Spanish, although this does not affect me in the operation, since they give me access to local data nases. I recommend SerpStat without a doubt for its excellent relationship between quality and price, as well as an opportunity for small fish to have real opportunities in the serps. I review it daily and it offers me all the information I need to position my web pages in better day-to-day positions. "Not just SEO, it helps me take business decisions." Serpstat is a comprehensive platform. I can find out important keywords for my business, site audit is also useful. I can track my keyword positions and can compare my content with competitors. Things are easy. Even for a non-SEO professional like me, it makes sense. In a nutshell good portal for finding everything relevant in one place. There isn't much to dislike. Though things can improve. Relevant keywords can include more context related words which I find on some other portals and find useful. Good SEO tool. You can go for it without hesitation. It is helping me address the right target audiences. I am learning to use focused keywords to reach the customers I want to talk about. More than SEO it is a tool for understanding the general direction the industry is moving. As a consultant, I can understand my client's industry much better for researching their industry-specific keywords, competitors, and the top pages for those specific terms. This helps me in assisting my clients to move in the right direction. Serpstat research builds my authority and credibility in front of the client. Many times I can tell them things about their industry which even they are not aware of. It has helped me win new business. "An Excellent All-in-1 SEO Tool at Competitive Pricing"
If you are looking for all-in-1 SEO tool with competitive pricing, SERPStat is a great option to go. While some SEO tool requires an expensive subscription fee, SERPStat can get you started with just $19/month when compared to other platforms that easily cost $99/month. I really like Plan A & B which are excellent for light users as well as small business operators like me. Also, the easy to navigate interface is a plus point as well. Do not get deterred by the low price and thinking that SERPStat is unmatched with the more established SEO tools in the market. Despite the affordable price, the tool has many functions like web analysis, keyword research, backlink analysis, rank tracking, site audit. I believe these functions are already more than enough to cover the SEO need for the majority user out there. Sometimes the calculation and retrieving keyword data can be a bit longer or slow. While it does not happen frequently, but when it does, it's almost impossible to do conduct keyword research. Hopefully, this will issue will be elevated in the future. Also, the rank position sometimes can go missing for a day or two before coming back to normal. While this is not a major issue but for someone that needs to monitor the rank position frequently can be a concern. I would highly recommend any SEO light user and small business operators to try out SERPStat. I use SERPStat for keyword research, backlink analysis and rank tracking. These tools fulfill all my basic SEO needs. The most significant benefit that I realize is competitive pricing. "An affordable way to make SEO research quick and easy! " I like the ability to research the popularity of individual web pages, as well as websites as a whole. It's useful for researching topics on competitor websites and how to improve upon them. I also like the content marketing questions section which is good for headline ideas for blog posts. I tried out desktop SEO software before using Serpstat, but found them to clunky and limited in comparison. Serpstat is much easier and better value for money than other systems I tried. I don't have much which I dislike about Serpstat. It took me a while to learn how to use it properly. At first, I just used it for understanding search query volumes on Google. But, after a few weeks of playing around with it, I found more useful features than I realised it contained. That suggests that I should make better use of the free tutorials available! If you need an affordable, easy to use SEO research tool, you should consider Serpstat. The system makes it easy to create SEO strategies, implement and track them. Plus, being web-based, Serpstat is accessible anywhere you have internet access. I use Serpstat to research popular topics for blog posts in my niche. I can't do this without using Serpstat. Nor can I carry out competitor research as quickly or easily without Serpstat. It's a time-saver and makes me competitive with my SEO for clients and my own blog. I've now used Serpstat to help me get several web pages onto the first page of Google, which has helped the business enormously. "The DIY Marketers SEO Tool"
I'm not an SEO expert by any stretch, so spending $99 on SEMRush was really out of the question. I have lots of professional SEO friends who use SEMRush and I've found that I can do just about everything they can do for so much less. Honestly, I really like the tutorial videos and articles. As a layperson in the world of SEO, these are very important to me. Of course the SEO keyword features and Competition are fantastic AND -- I really love the site audit feature. I've used it to clean up old articles and redirections to my website. Serpstat is an OUTSTANDING alternative to SEMRush! It's an ideal tool for DIY Marketers just starting to learn about the power of SEO in their content marketing. I use Serpstat to keep my website optimized and to help me create content that will drive traffic and rank. "Great SEO tool - among the best on the market!" I really like that SerpStat offers an "all-in-one" solution that combines a lot of features, including Competitor Analysis, Keyword Research, Backlink Analysis, Rank Tracking and much more. There is really no need to use other SEO tools since SerpStat has it all. It's like having MOZ, Majestic/Ahrefs and SemRush combined at a fraction of the cost and with a much easier to use dashboard that combines all the things you want to see in one neat interface. Another great thing is that SerpStat constantly updates its databases, so you always have access to the latest data. Last but not least, their service is really good. I have been using SerpStat since 2015 and really don't want to miss it anymore. As far as I have seen, the backlink databases could be a bit larger compared to other SEO backlink analysis tools, given that I sometimes find more backlinks when using other backlink tools that have been around for a very long time. But I assume that SerpStat will catch up with its competitors in this regard as time passes, so that isn't really a big issue for me. Especially considering that other backlink analysis services are very expensive compared SerpStat. I'd at least get Plan B for the advanced keyword tools. I mainly use SerpStat for Keyword Research, Competitor Analysis (checking backlinks and spying on SERP rankings) and to track the performance of my own SEO campaigns. I really like how easy it is to navigate the interface. Serpstat makes it easy to get information, layers of data, in a easy to navigate manner reducing confusion and stress. Hard to answer this question because Im not a huge SEO person. I think its important to remember SEO take a lot of time. I mostly use this tool for research rather than upscaling my rankings. As a sole entrepreneur, I don't have the bandwidth to focus a ton of time on SEO. This is an easy to use tool. I trust the analytics are accurate. I've used a few other tools and this one has an easy interface which is very important as I don't feel intimidated using it. I spend my time with results rather than trying to figure it out. Researching the market. Seeing what my niche mates are doing that may be successful so I can emulate and not re-invent the wheel. Serpstat makes it much clearer what I need to do next to compete in my niche. "Found it by accident, fell in love with it"
All features are great, but one of my favorites is the Site Auditor. It's easy to forget about broken links or duplicate meta tags, this features will detect them and inform you of these issues. It can easily detect technical and on-page SEO issues, which are an easy fix but often overlooked. I also love the URL vs URL feature, which allows finding keywords for which your competitiors are arnking and what are the diffferences between them. Their databases are not as big as some of their competitors, but they've been growing steadily in the past year since I've been using Serpstat. I've been using it for close to an year, so far they've greatly improved. If you don't have a high budget for the more expensive tools, SerpStat is a great alternative and more affordable. It's likely that they still have some awesome deals available, look around and give it a try. "Nice tool to gain insights"
The tool I use the most is to gain keyword rankings for a client's website. The plan I can afford only allows the Top 100 keywords, which is not exactly the Top 100 keywords because it also contains rankings for images, local pack, videos and maps. Also, 100 is not very much when you are doing research. SerpStat is good as another tool in the toolbox. While it does a lot of things, it is not a single solution. However, if you are starting out, it is a great beginning point. I use SerpStat primarily for keyword rankings and previews for search engine optimization audits. I use a site crawler to do my own SEO audits, but SerpStat's site audit tool gives me a preview of what I am getting myself into. Automated site audits do not provide all of the information I need to look at for a client, but SerpStat's site audit tool gives me a nice overview before I dive in for the hands-on audit. It is also a nice feature to provide me with some checks and balances. "Crucial for My Business, Crucial for Success"
Watch the SERPStat Academy Course videos if you really want to get a full understanding of the power it has. "Marvelous SEO Tool with the Best Support Team Ever!" Serpstat is a complete tool with multiple options including keyword analysis, backlink analysis, rank tracking, site audit and text analysis. The overall features are comparable to best in the industry with a far affordable price to their competitors. However, the best part is their support team. I had my account hacked and plan changed but their support followed up for more than a week to resolve the issue. When I provided every proof of purchase and guaranteed ownership, they fixed the issue and reverted back my account to my original email and plan. Their support and especially Inna spent hours on chat and email in resolving my problem and restoring my account. I have used many tools and had to contact many support teams in the past but I am not seen anyone more understanding and cooperative as their support. Their support team and especially Inna is the best support agent I have ever encountered. There is nothing to dislike. However, they can improve the tool to increase their database to compete with the likes of the top tools. But they are already very good for the prices they offer and they will only improve with time. If you are looking for a great exhaustive tool with an awesome support team, Serpstat is definitely the way ahead. I am able to check SEO aspects of our own website as well as our clients using Serpstat. The details and database are very good for the price offered. Moreover, their bots are not easily blocked by websites trying to hide backlinks, unlike the big tools whose bots are blocked to avoid competitor spying. "Excellent SEO tool for monitoring and research"
SerpStat is a great tool for SEO and PPC research with massive amount of data and functionality it offers such as detailed website analysis, competitor research, keyword variations and analyzing keyword trends. One of my favourite feature in Serpstat is "Search Questions" functionality which provides variation of keyword suggestions in the form of questions which is very useful for content marketing and creation. It helps me perform the best SEO analysis with detailed results. As it offers a host of features, I wish the navigation was little more easier. However, once you are familiar with the UI, this is great tool for SEO/PPC research. This is a great tool to use massive amount of database options for multiple countries which is updated regularly. It is worth the investment and allows you to provide your clients/business with valuable insights. We are able to optimize our website with the Site Audit feature. Perform keyword research feature across multiple countries and identify relevant keywords for our business. Based on keyword research from Serpstat tool along with its host of features such as Long tail keywords, Search Questions, Related Keywords etc. we are able to increase our organic traffic and helps us in creating of new topics and blogs. The tool also helps us to identify and scale backlink opportunity. It helps us streamline our SEO efforts and measure progress. "SERPSTAT as service for search engine optimization"
Most of all in SERPSTAT I like the fact that the service regularly updates the data. For example, after the last update, the number of keywords in the Google US database increased to 1.7B keywords. I also like the fact that using SERPSTAT I can find additional keywords for the site pages. I do not need to collect all requests and re-cluster them. It really saves my time. In SERPSTAT, I don’t like how an affiliate program is made. 1. By my affiliate link, more than 150 users are registered, but the conversion is very low. I would like to have a special landing page for new users on SERPSTAT, which would improve the conversion. 2. I cannot withdraw money if the amount on the account is less than $ 50. 3. I also have no opportunity to use automatic withdrawal. To make an order for payment I need to go to the site, check the balance and order the payment. It is not comfortable. I do not like the user interface. UI is not responsive. For me it is not very convenient. Why is it important? Usually I open 2 browser windows on the desktop. When the SERPSTAT site is open in half the screen, it’s very difficult to work with it. I can recommend SERPSTAT only as a service for working with keywords for the reason that the service has a large database of keywords for Google US. I do not use other features that are on the site (such as site auditing), because these products are not so useful. I use SERPSTAT to collect keywords for my sites. This is the main task for which I use SEPRSTAT. I also use the service in cases where I need to analyze changes in positions in the Google SERP. "Functions are nice for both marketing and SEO!" I work in SEO for quite a long time, so Serpstat is an integral part of my working process. Every day Serpstat helps me to get relevant information according to the site I am working on. Price could be lower, but it is really sound investment, anyway. I don't use all the functions, actually. But those I regularly use perfectly meet my needs and requirements. My advice is to use it only when you definitely see that you need most of the functions it offers. Otherwise, you can simply find plenty of other services which are also not bad for the more reasonable price. In all the other aspects, Serpstat is a really reliable and useful site. Recommend it! "SerpStat - Great for Small Businesses, Freelancer & New to SEO"
Serpstat affordable pricing yet comprehensive features tools makes it an ideal complete SEO suite for small businesses, freelance digital marketer and SEO newbies. Serpstat has also made a simple, easy to follow. After one setup a project, Serpstat just gives just two options - one is to run a site audit and the other is to "Start Tracking" keywords. Both are the very logic and important steps to take after setting up a project. Apart from that, the different features of the tools is properly and logically grouped into 5 broad categories, namely "Website Analysis", "Keyword Research", "Backlink Analysis", "Rank Tracker" and "Site Audit". It's "Infographics" is a nice feature to provides the digital marketer or business owner a snapshot of the current status of a website. As Serpstat is relatively a new kid in the block, as compared to its competitors MozPro, Ahrefs and SEMRush, it has just recently launched a number of new Google databases. As such, the data isn't as complete or comprehensive as compared to its competitors.However, given enough time & sufficient crawls, I believe its data completeness will be comparable with the other SEO tools. Another thing is the site audit tool configuration. In other site audit tools, it is not possible for me to configure the crawler to ignore tracking parameters that have no effect on the content, e.g. UTM parameters. By doing so, we won't be seeing so many duplicated URLs. Improving its academy and how-to articles and blog posts is another area which I think Serpstat can improve upon. Like any other SEO tool, it is only as good as the user using it. To fully leverage on the tool, continuously brush up your SEO knoweldge and the tool. Go through the academy available on the Serpstat website. Rank tracking and site audit are two features I use often. I've my preferred tool for keyword research as the Google database is not as comprehensive as I mentioned above. Also, for my content audit, I'm depending on SEMRush. For backlinks, I already subscribed to Majestic so not really depending on Serpstat backlink analysis feature though I should be doing a review to see if the backlink analysis of Serpstat is as dependable as Majestic. If so, I may considering switching over to Serpstat for my backlinking needs. "SerpStat reveals SEO low hanging fruit that helps my clients increase traffic"
I like many things, one of the most useful is suggested keywords based on a keyword phrase you type in. It really helps you see the keyword cost per click and help you stop wasting money on Google Ads with over-priced and too broadly targeted clicks. Well, I am a bit of a scrooge, so no matter which company or brand I almost always consider them to be expensive, but honestly I do think every dollar I have spent on SerpStat has been a great investment. For those in the know you might find an LTD if there is one available at the time of your search. Being able to see at a glance where you sit in relation to your competitors and what you need to do to fix that. "The best tool for SEO work"
mostly I use this tool for the keyword search. Not so long ago all the databases were renewed and for this moment i think that Serpstat has the best USA database. Also, it is very important for me that the team of developers and support managers are on-line with me 24/7. I can not say that there are a lot of disadvantages. But in the future, I would like to see more countries in the database of the tool. It helps me to work both with blogs and e-commerce projects and make a relevant target. I should honestly say that the price is quite reasonable and for now this tool covers all basics questions related to sites' audit. "You can't go without it when creating a website"
At first, I found it a bit difficult to figure out all the details, but their support is really great at explaining! "Good product for a cheap price"
First off I am not an expert on SEO but am just using it for my personal websites, but I use this to check my keywords. This seems to be very accurate. It keeps track of my projects and keywords so I don't have to manually check them. I purchased this from appsumo a long time ago and it was a spectacular deal, but the per month is a little more expensive. It is still much cheaper than the big guys with very accurate results. So I wish it was a little cheaper per month, but I still think it is a good deal. Serpstat is great for keeping track of keywords and different projects. I don't even use serpstat to its fullest potential. One day I need to sit down and truly see what it can do. ⭐ The interface is simple and friendly. ⭐ You can control your projects quickly and fairly easy to understand. ⭐ The audit is very complete and detailed. Sometimes the load times are higher than normal or even the screen goes blank. Some data are incomplete or wrong. With recently created websites and small niches the tool is not as accurate. The keyword research tool is a bit weak. Analysis of client projects and own projects. Position/rankings control, link analysis and anchor texts. For what I like to use the Serpstat tool is to control the positions of the most important keywords, the new dofollow and nofollow links that arrive at the websites and the links that are lost. "Great SEO tool every expert needs!" The tool lets me solve all the issues in one place. The greatest thing is its checklist with an opportunity to set tasks for your SEO team and monitor how the tasks are being carried out. Rank tracking tool is the second thing that made me choose Serpstat, and it appeared to be the best decision. Now I have all the data on the website’s changed positions for the tracked keywords on one page and quickly discover why its rankings dropped. If you have any questions, there’s an in-app chat where you can start the conversation with their support team. Don’t repeat my mistakes looking for the instructions by myself (I didn’t know they answer so fast!). I like the ability to create projects because this enables us to stay ahead of our local competition. Furthermore, having Serpstat gives us keyword search data to use for our digital ad campaigns. Overall, I highly recommend this product and look forward to seeing Serpstats growth. I don't have anything I dislike, I just wish there was a limited related keyword search for the cheapest option. If this was opened up on a limited scale, maybe only see 10 related keywords, it would be a killer piece of software. Search around to find the product that best suits your needs, but Serpstats good. We had a hard time finding local/niche citations. After getting Serpstat, we were able to analyze other websites to find out where they were being linked to. "Good Tool, Simple To Use"
I have access to everything I need at a glance when using Serpstat. There are a lot of other SEO tools out there with more bells and whistles, but this one definitely gets the job - and at half price that others charge! Recommended! Sometimes, the interface gets a bit glitchy but that happens rarely. Still, It has happened at inopportune times, causing me to refresh and start over. Definitely give it a try - it's much cheaper than alternatives and their databases are pretty solid. I'm currently doing KW research for several blog articles that I'm writing for my clients. Other than that, I generally check backlinks with Serpstat - basically, seeing what my competitors are doing in terms of external SEO and trying to top that. "The Swiss Army Knife for SEO and Marketing"
As far as keyword research and backlink analysis goes, after testing many tools, Serpstat has become our go-to tool. There are so many great tools inside Serpstat, sometimes it's a little difficult to navigate the site, although we consider that a good problem to have. Serpstat has become our #1 marketing tool we use to perform various SEO (and PPC) tasks such as keyword research, competition analysis, backlink audit, and position tracking. We use Serpstat to give us a high-level overview of our site’s performance across different areas – organic keywords, PPC keywords, keyword position distribution, competitors in organic search, rank tracker, and more. We love Serpstat for its wealth of features and reports. "SEO Testing and Information all in one place." There's a couple of things I like about Serpstat. #1 It's really easy to use. I can add and setup a new account in minutes and start testing and receiving information. #2 The layout is simple to navigate and very easy to read. #3 The community blog updates and training are an awesome learning source. #4 The support is incredible. Fast and knowledgeable. SEO is complicated, especially finding the niche for your business. There is a definite learning curve but Serpstat makes the process easier with their tools, their knowledge base and their incredible support. Serpstat is an all one, easy to use SEO monitor. It's a great way to collect data, control and direct your online marketing campaigns AND learn more about SEO as your doing it. Using Serpstat I'm able to monitor and improve my customer's online marketing programs. It's an invaluable part of the services I offer. "Serpstat system is amazing and is helping with business a great deal!" Rank tracker is my favorite but other tools are amazing to such as the keyword researcher etc. I love using is to find new keywords to rank for. Our websites are ranking better and generating more leads. I recommend this product to any SEO agency or consultant. We are also using Serpstat with reports which is automated. This is saving our team a huge amount of time! It has helped out team save a lot of time with our search analysis and advertising. Serpstat has helped us identify localized keywords which has saved us a great deal of money with our advertising while increasing a leads and sales. We have found a huge amount of organic keywords by researching our competitors using the data retrieved by Serpstat. The results have amazed us. We can quickly spot when ranking drop and act in time to improve our rankings before our customers spot a problem. This has helped us tremendously improve our customer service. We have improved our content writing by researching statistical information and see what the current trends are based on the data displayed by Serpstat. We truly recommend any serious SEO agency to consider Serpstat. I wish there were no limitations but that would be fair anyway. If you need extra resources, you can always upgrade your plan. Serpstat is very affordable and easy to use. Rank tracking and keyword research. It has helped us with onsite optimization. 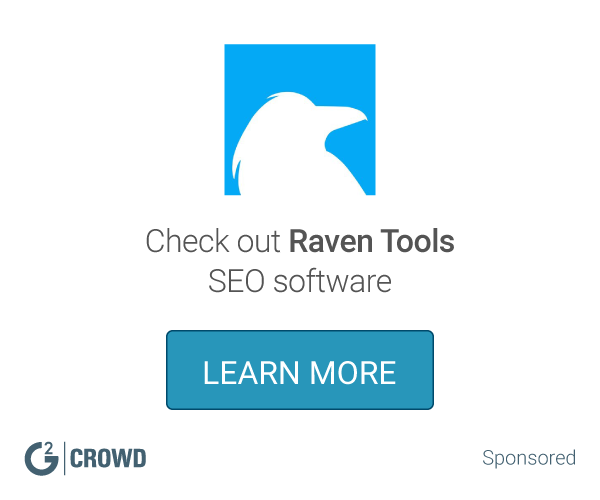 "Great SEO Tool for my german social media and seo agency"
The Keyword tool is great. I like the position ranking tracker and the dashboard. User experience is very good, the service is fast and friendly with a lot of feedback. Site audit is very helpfull for my clients. I use often Search Questions from the keyword tool to find out more ideas. speed is sometimes realy terrible, Database could be more updated, in my version no mobil ranking tracker, the beta tools are focus on Yandex, i hope google will supported fast. My customers like a overview of there situation and like to have reports. Serpstat helps to plan the right marketing strategy. I see very fast what is going on and how i can help the clients to improve there business online. "Easy enough for beginners, robust enough for experts!" I love the Serpstat is completely user-friendly and self-explanatory. It's easy enough for beginners to get a good idea of great keywords to use, or to get an overview of how their site ranks for different phrases. Yet, it's also robust enough that experts will find all of their SEO needs in one spot. The only thing I can think of: it limits you to 100 "results returned" max on keyword searches (on the AppSumo plan). I'd give it a 10/10 if they increased that limit a smidge (say, to 200). I'm trying to boost my blog's SEO in a natural way, using keywords that make sense with the content. Serpstat helps me find additional key phrases to include throughout my posts. "Great Tool for Limited Budget"
I have been using Serpstat for almost 2 years. And what I like most about this tool is that it's very user friendly. The tools that I use most often are Site Audit, Keyword Research and Rank Tracker. Until now, I haven't found anything I don't like about this tool. I recommend this tool for those of you who have a limited budget. Because the offered price is very reasonable and very commensurate with the various features Serpstat offers. Until now I have been actively using Serpstat to track the ups and downs of my website position on Google Serp with rank tracker. Also, it is easy for me to find new keyword ideas for my website with Keyword Research tool. "One of the great tools to keep in your SEO arsenal"
All in one SEO tools where I can do my keyword research, content research as well as keeping track on the ranking. At first their databases was not as big as their competitors when I started using it few years ago but they keep adding and improving it until now. A good alternative tool comparable to SEMRush or Ahrefs. Keep this tool in your arsenal if you do SEO. "The only SEO tool you're ever gonna need!" Very comprehensive set of tools and resources but the best part is the Customer Support and how open the team is to user feedback. They actually listen and actually make the right changes. It's refreshing. Oh and their tutorials are epic! I wish the white label option was cheaper. They have great customer support and a trial option as well. Make sure you're clear about what you are looking for and go ahead and get the free trial. Test everything. In depth SEO research, Missing Keywords, Keyword Ranking, Suggested Keywords and the Technical Site Audit. The Site Audit tool is an incredibly effective lead magnet and lead conversion tool if you're an agency looking to get new clients. "Genuine SERP Stats Application - Easy to Work With"
This is its best part that it shows the genuine results, blogs, and information we searched for. This is really a good application I came across while working as an SEO for about one and half years. Perfect utility for SEO beginners. Keyword Research and Backlink Analysis is the best part I liked about it. It is so easy to use that it sometimes seems fun to be working it. One of the best applications I have tried since last 1.5 year and found that it is really a good software for the SEO person or the team to work more precisely and to make the strategies more clearly. The utility has come up with some more unique features which make it different from the other applications. I didn't found anything as yet except in the starting it is difficult to operate the application, being a fresher or unless and until someone will guide you. But, once you get its working, it is the best, If would have to say a thing which I didn't like then it is that this program is a bit costly. Can't be afforded by small scale companies. Just make it more specific so that one can compare the products also if needed. To make the price a bit cheap also. Easily to understand the marketing strategies of the Digital World. To explore more and know how can we take more steps to promote and market our products. "Really user friendly, plenty of actionable intelligence"
There's very little in the way of a learning curve, since the user experience is very intuitive. Within a few minutes, you can find an action step that can help leverage your online business. Full of features that would normally require separate subscriptions or licenses. It's not the most accurate or helpful in certain areas such as keyword difficulty and authority ranking of competitor websites. That said, the one that I use that is better, is much more expensive. If you're new to SEO, up to moderate experience then this software has everything you need to massively improve your website. Tremendous value for money, and by the time you've worked through all the features, you'll have a great education in the latest SEO. For SEO agencies, or 'gurus' there are some competitors that do any individual feature a bit better. I expect that the Serpstat staff know this and are actively closing the gap though! If I'm looking for new ideas for keywords or topics for fresh content, it's great you'll never run out. If I'm doing competitor research, I can see at a glance how their doing and where they dominate, all on one page. With technical site audits, keyword tracking, and content gaps, I never run out of actionable steps for each website I'm working on. I imagine that for a user with an individual website, they would take a long time before finishing optimisation, without needing any other SEO tools at all. "Nice tool for SEO specialist"
"SerpStat is the All-In-One SEO tool you have been waiting for"
The Dashboard is easy to navigate, the Keyword and Domain information overview is very helpful and overall the entire platform is simple to use but packed with lots of valuable information. I would not say this is a dislike, but more of an opportunity - SerpStat is evolving, updating and adding more databases and information to their platform. This is fantastic for the current users. I help businesses online with SEO and SEM. The SerpStat platform helps me get an idea of how difficult would it be for the businesses to rank for specific keywords in the SERPS as well as how much it would cost if I were to target CPC campaigns for specific KeyWords. "This tool is a must for any serious SEO entrepreneur"
I like all the information what this tool show me. Keywords, competition, backlinks all is what must have any Pro SEO platform. As a general rule, the most successful man in life is the man who has the best information. I cannot go deep into details why/how I use all the information, but these guys help me a lot in all my websites to rank way better. Everyone first should pass through Serpsat academy and take a certification first from all programs before start using it. After this all is easy. All my websites what Serpstat helps me since I use they ranked higher every day. Serpstat is only the top of the iceberg. As I tell above all this that research process needs to be done properly and with the information you have from it many other works follow after that. But hey... with wrong information and wrong research, you will drown your self with useless work. * We monitor all Serpstat reviews to prevent fraudulent reviews and keep review quality high. We do not post reviews by company employees or direct competitors. Validated reviews require the user to submit a screenshot of the product containing their user ID, in order to verify a user is an actual user of the product. Hi there! Are you looking to implement a solution like Serpstat?